Sunday Scan is back. 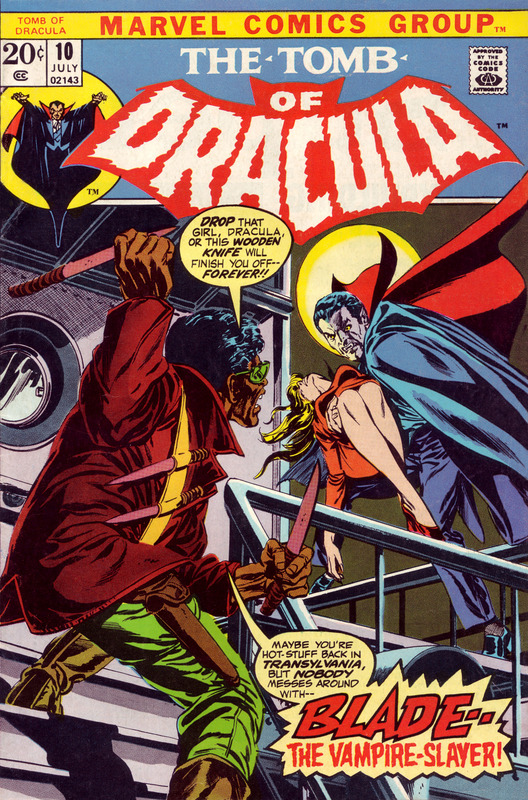 This week I have another Tomb of Dracula. This is the cover for #10 (1973). It features Blade the Vampire Slayer in his first appearance. This issue cost me a small fortune! It was the most I’ve ever spent on a single comicbook. This is when you know you’re a serious collector….that or you have a Real Problem! The art is by Gil Kane with inking by Tom Palmer.